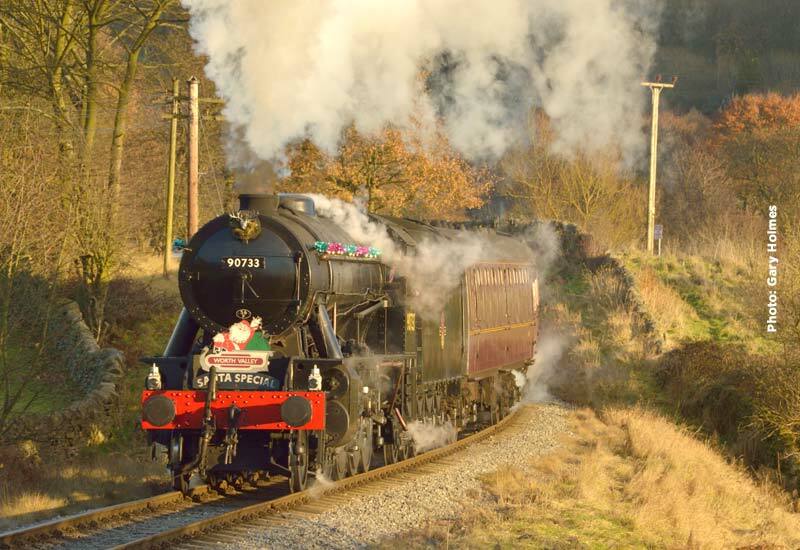 We are now into our 3rd week of Santa Steam Specials and the weather, so far, has been relatively kind to our passengers compared to the last few years. 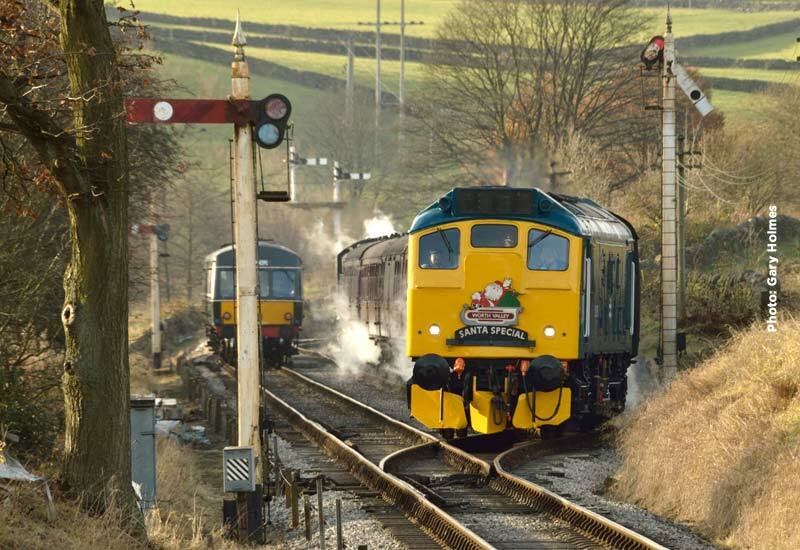 Last weekend saw both USATC S160 2-8-0 5820 (Saturday) and WD 2-8-0 90733 (Sunday) on the south, Oxenhope end of the train assisted, once again, by Class 25 diesel 25 059 at the Keighley end. 90733 will be providing the steam traction on both days this weekend with the class 25 continuing at the north, Keighley, end.